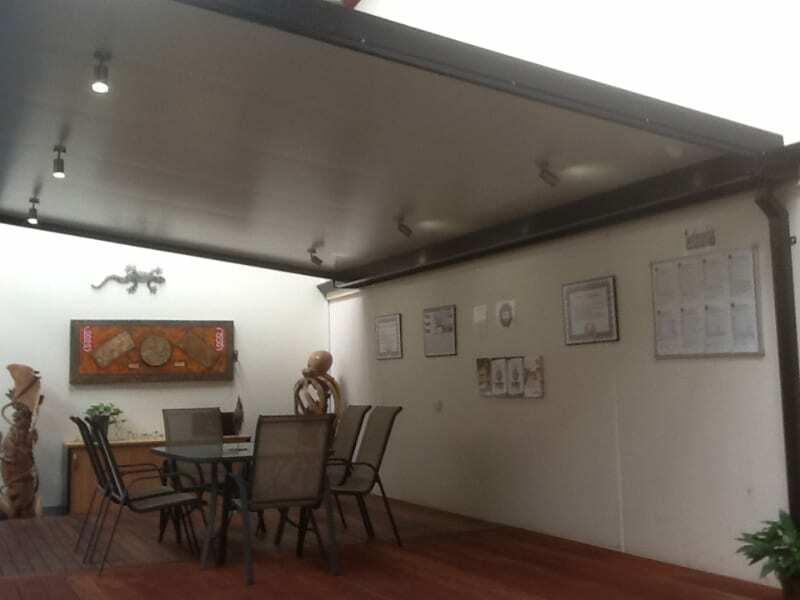 If you’re looking for a skillion roof patio in Perth, look no further than One Stop Patio Shop. We’ve got customisable patios of all shapes, sizes, and materials to suit any style and budget. Skillion-roofed patios are very attractive and provide greater flexibility to take advantage of the layout of your property. Whether your block faces north, south, east, or west or it’s on a slope, you can adjust the roof angle to complement your home and outdoor area. A skillion patio, also known as a skillion roof patio, with a “skillion” style roof: a flat roof with a pitch or slant. Look around and you will see many examples of skillion roofs in modern architecture. 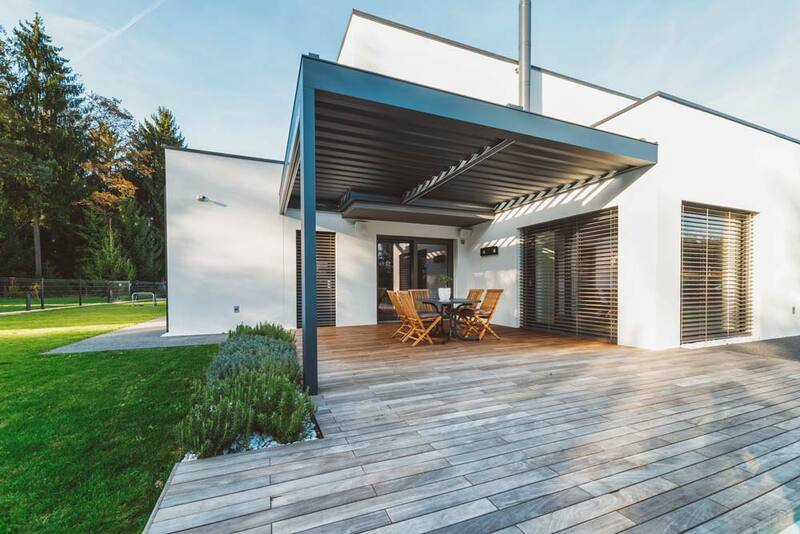 This type of patio is very popular for people who are looking for a home extension that is either attached to the residence or freestanding on their property. A standard skillion is attached to your home’s fascia and raised above the gutter. 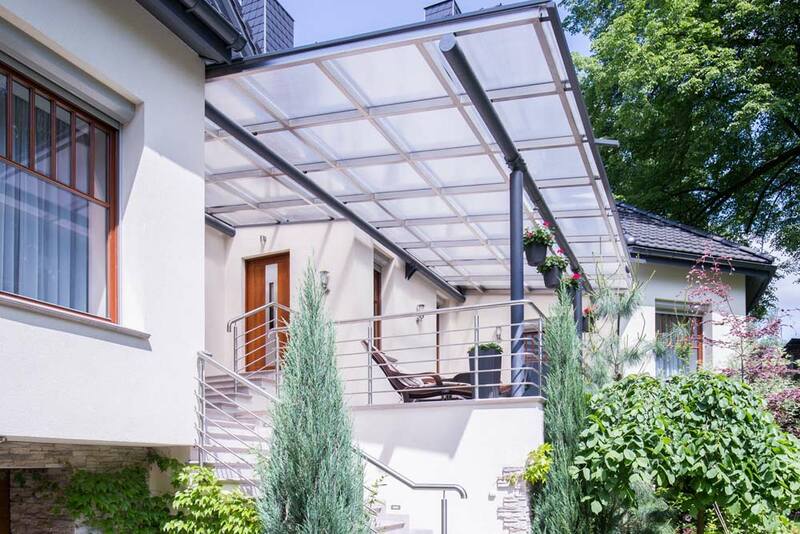 A polycarbonate infill lets light shine through while allowing you to stay dry. 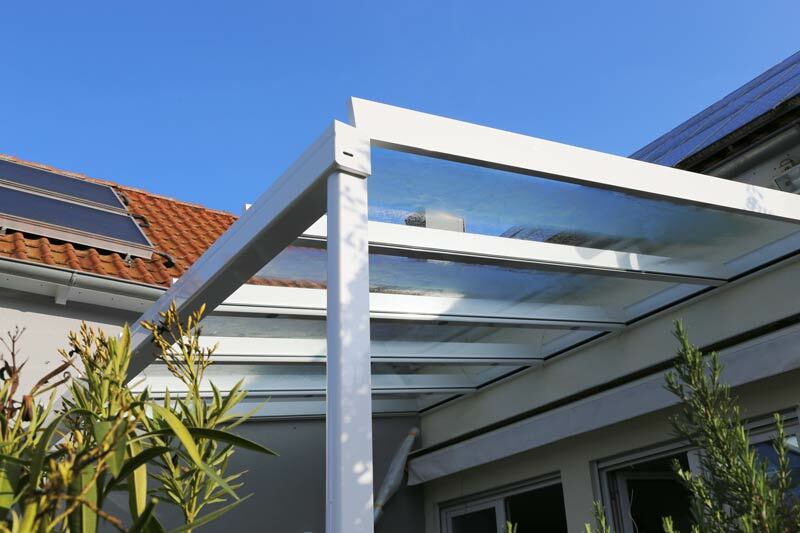 A flyover skillion roof is very similar to a standard patio, however, the patio roof overlaps the home’s roof to maximise air flow. 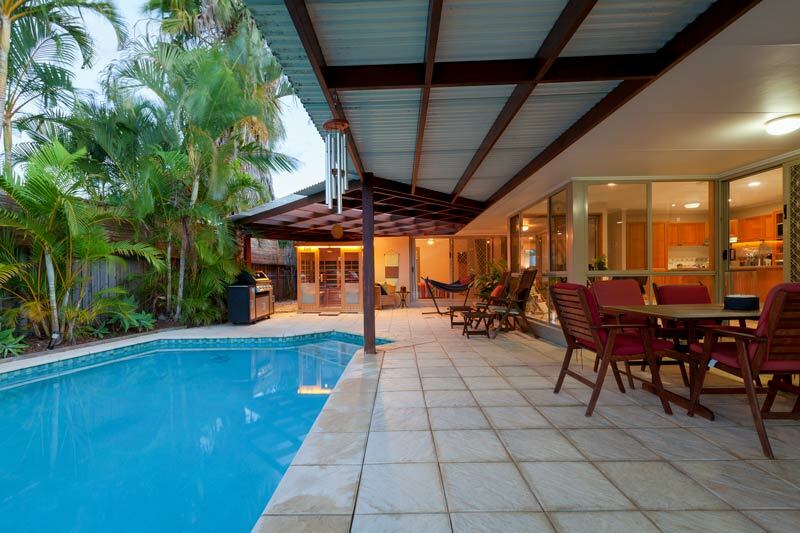 Butterfly skillion patios are made of two roofs that angle down towards the centre. Rain runs to the centre of the patio roof, allowing for a tremendous rainwater collection feature. 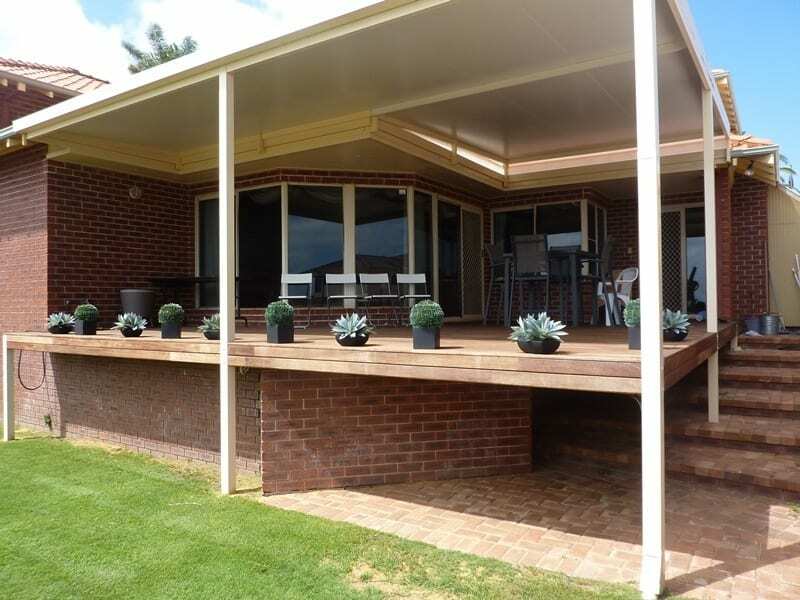 Reverse skillion patios, pergolas, and carports are the opposite to a standard patio; the roof is angled away from the home, making them ideal for unobstructed views. Patios are designed to blend smoothly with your home’s existing structure, whether classic or contemporary. Choose the size of your patio, angle of the roof, colour, material, and whether the patio is attached or freestanding. Cut energy costs with insulated roofing that helps you save even more by protecting you from the cold or hot Australian weather. One Stop Patio Shop design and install custom skillion patios. Our team will work with you to customise your patio to suit your home’s architecture. The seamless layout of skillion roof patios integrates well with existing structures in both classic and modern architecture. The skillion patio offers plenty of space for outdoor entertaining. Often showcased as a freestanding form in modern residences, skillion patios are well suited to alfresco kitchens and outdoor entertaining areas due to their simplistic, ‘high style’ look. 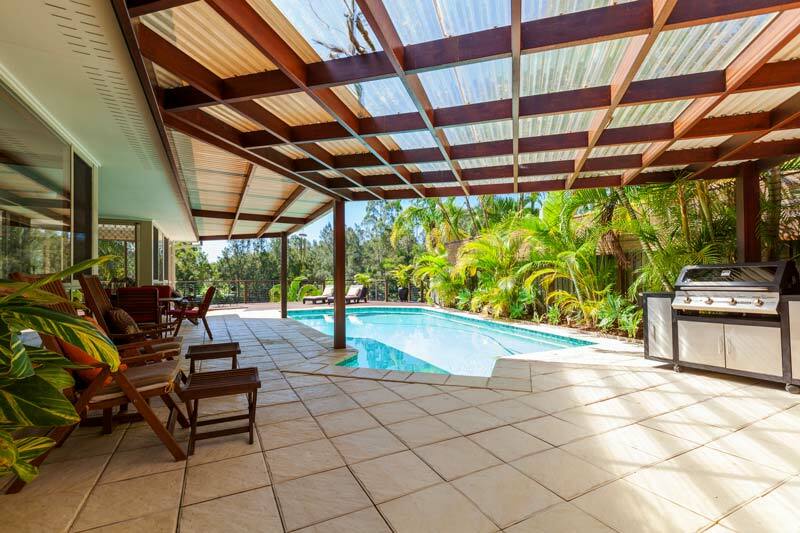 This classic look combined with One Stop’s insulated roofing systems makes it an ideal renovation for your home, able to withstand hot summer conditions and crisp Perth winters. Customise your patio with a variety of materials and features, like patio lighting and skylights. 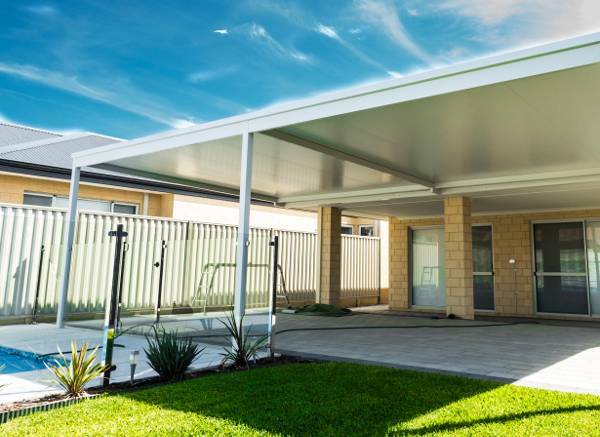 How much will a skillion patio or carport cost for your project? The skillion roof design can be installed using a variety of roofing systems, including the SolarSpan system to significantly reduce heat transference. 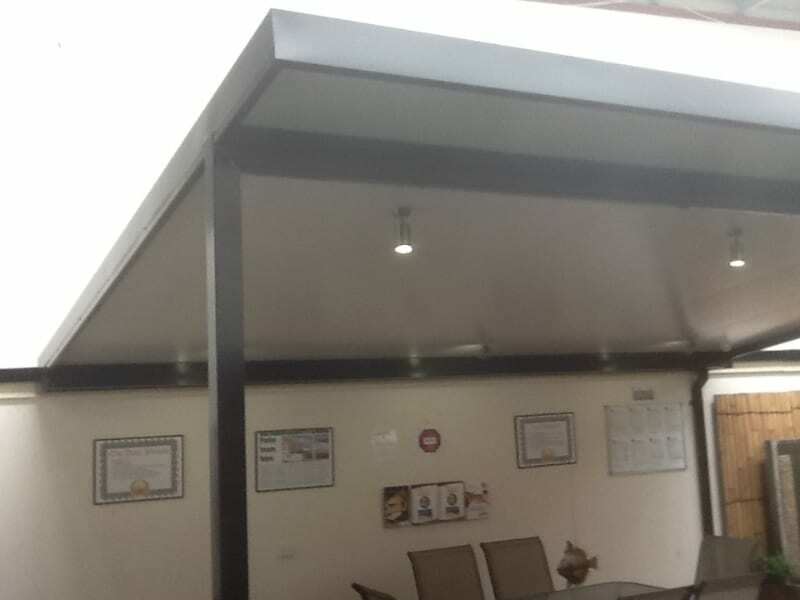 Whether you choose to go with a skillion roof patio insulated SolarSpan material or Colourbond steel, a skillion patio will provide excellent shelter and protection from Australia’s sun and rain. Skillion patio costs vary depending on the size and material you decide to go with. At One Stop Patio Shop, we want to make it easy for everyone to enjoy their outdoor area with a patio. We offer 12 months interest-free finance so you can enhance your home and yard with a payment plan to suit your budget. We’ll give you a free onsite skillion patio quote for plan, patio design choice, and patio installation.